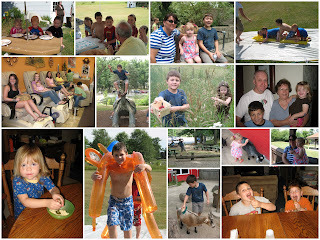 We spent a week visiting Grandma and we had a great time visiting with in-laws and cousins. We went to the zoo, visited Amish country, hung out with friends, and played until we were so tired every night. We always enjoy visiting both sets of grand parents and we are so lucky that they live so close together so we can see them often.